Staff Sgt. 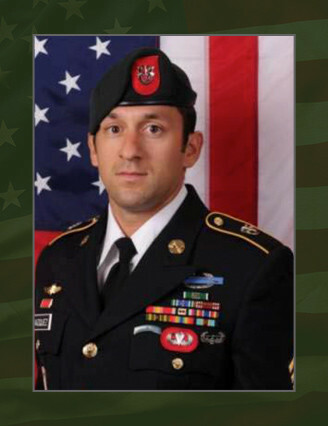 Richard Lee Vazquez, 28, of Seguin, Texas, died Nov. 13, 2013, of wounds received from an improvised explosive device blast in Panjwai province, Afghanistan. He was assigned to Company B, 3rd Battalion, 7th Special Forces Group (Airborne), Eglin Air Force Base, Fla., and was deployed in support of Operation Enduring Freedom – Afghanistan. This was Vazquez’ fifth deployment during his military career. Vazquez joined the Army in August 2004, as an infantryman. He attended initial infantry training at Ft. Benning, Ga., and was assigned to the 3rd Brigade Combat Team, 101st Airborne Division (Air Assault), Ft. Campbell, Ky., from July 2005 to Sep. 2009. In Sept. 2009, Vazquez volunteered for the Special Forces Assessment and Selection. He graduated from the Special Forces Qualification Course in December 2010, and was assigned to the 3rd Bn., 7th SFG (A) as a weapons sergeant. His military education includes the Basic Airborne Course, the Air Assault Course, Combat Lifesaver Course, Warrior Leader Course, the Survival, Evasion, Resistance and Escape Course, the Special Forces Qualification Course, Senior Mountaineer Course, Master Mountaineer Course, and SOF Sensitive Site Exploitation – Operator Advanced Course. Vazquez’ awards and decorations include the Purple Heart, three Army Commendation Medals, two Army Achievement Medals, the Meritorious Unit Citation, two Army Good Conduct Medals, the National Defense Service Medal, the Iraq Campaign Medal with one Campaign Star, the Afghanistan Campaign Medal, the Global War on Terrorism Service Medal, two Noncommissioned Officer Professional Development Ribbons, the Army Service Ribbon, two Overseas Service Ribbon s, the NATO Medal, the Master Driver Badge, the Air Assault Badge, the Combat Infantryman Badge, the Parachutist Badge, and the Special Forces Tab. He is survived by his parents, brother and sister.